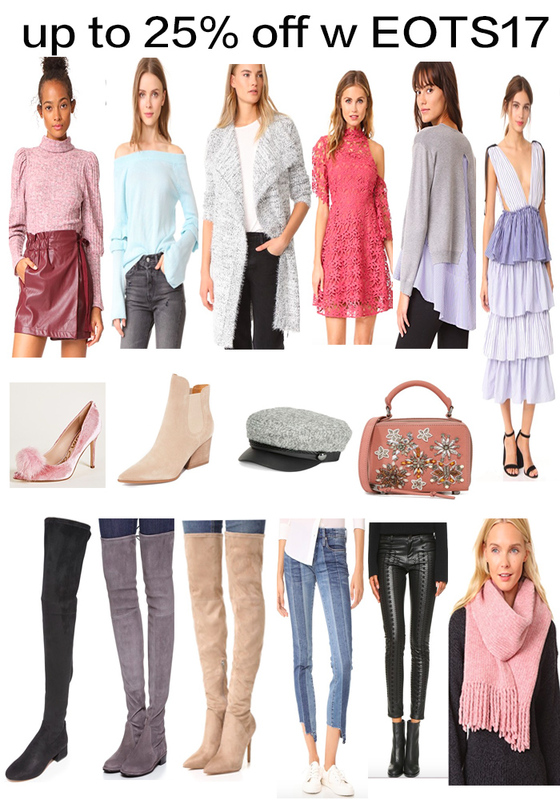 I couldn't be more excited to share this up to 25% off end of summer sale from my favorite online retailer Shopbop. You girls know the drill, popular items goes so fast. You know what to do. BTW, what makes this year's sale better is Stuart Weitzman Boots are included in the sale this time. How awesome!!! Seriously so many pretty things to get. Let me share with you girls the 16 items on my wishlist first. So I just ordered this dress, this cardigan, this top, this one and this one. haha. I can't wait to get them already. Besides all these, here are all my recent personal favorites and you girls can get them on sale. Happy hump day! Happy Shopping!